Medicina’s Oral Tip Syringes/Dispensers are available in 5 sizes – 0.5ml, 1ml, 2.5ml, 5ml, 10ml, and 20ml. 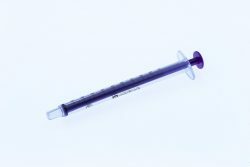 For safety, Medicina oral tip syringes will NOT mate with a hypodermic needle or other IV connections, minimizing the risk of medication administration mistakes. They are latex-free, contain no iron oxide, and are marked in milliliters. Single use syringes used for the delivery of feed/medications via the mouth. Oral Tip Syringe Caps allow feeds/medications to be prepared in advance. Oral Tip Syringes can be capped off until required. Oral Tip Syringe Caps are packaged singularly and in packs of 8 to allow for multiple feeds/medications to be prepared. 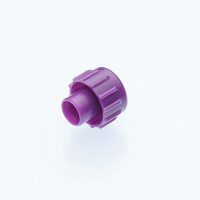 The Stepped Bottle Adapter with an oral tip connection is available to allow access to bottles when drawing up medication/feed.